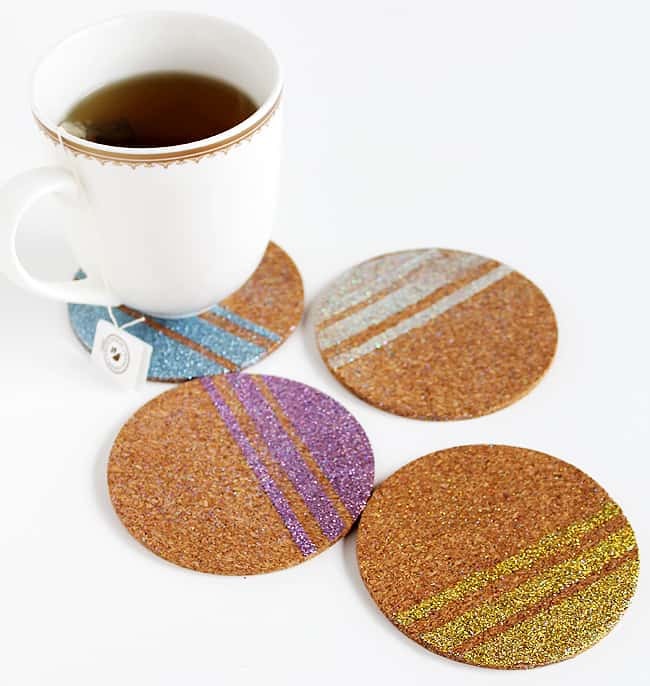 Make these DIY glitter coasters to help your guests or family members keep their drinks straight – no more guessing whose drink is whose. Hello, Podgey People! I'm Carissa from Creative Green Living and I'm thrilled to be here to share my project with you. 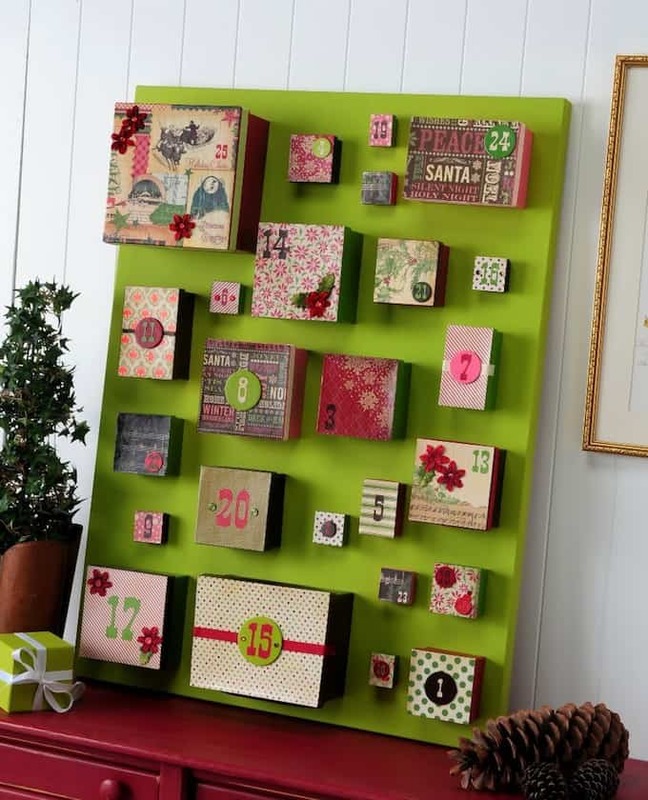 In casa Green Living, I try to make items that will have an extended lifespan, which means instead of Christmas crafts, I try to make winter crafts that I can break out at the end of November and keep up through February. These sparkly DIY coasters have that kind of staying power – which I love! It's not hard to see them being used for Christmas hot cocoa, New Years cocktails and Valentine's treats. 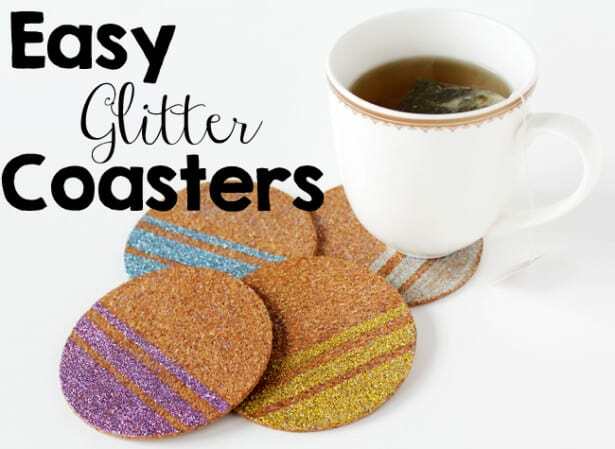 Of course, if glitter is your jam, these might make great year-round coasters, too. By making each coaster a different color, you can help your guests or family members keep their drinks straight – no more guessing whose drink is whose. The other thing I love about these coasters is that they are EASY. Ready to get started? Let's do it! 1. 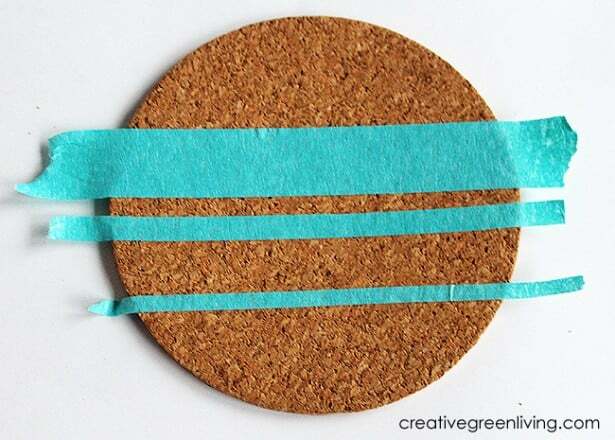 Use the patterning tape to create a pattern on your coasters. I used three widths of tape to mask off horizontal stripes on the the bottom half of the coaster. 2. Brush on the Mod Podge. I used the Sparkle formula for this part as I like how it interacts with the glitter. 3. Sprinkle glitter on the Mod Podged areas. 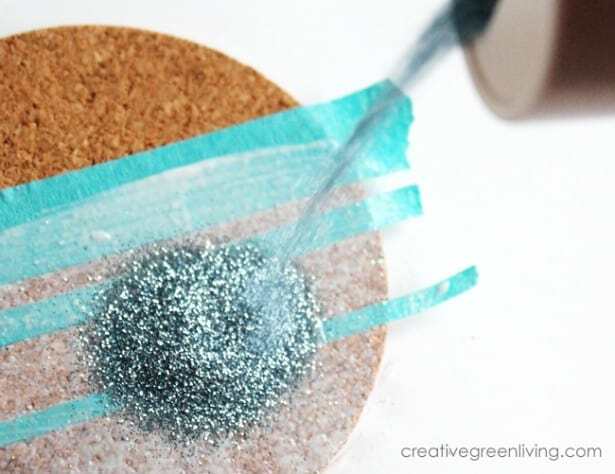 Dump the excess glitter off onto a piece of paper to put back in the jar. 4. Peel up the masking tape. 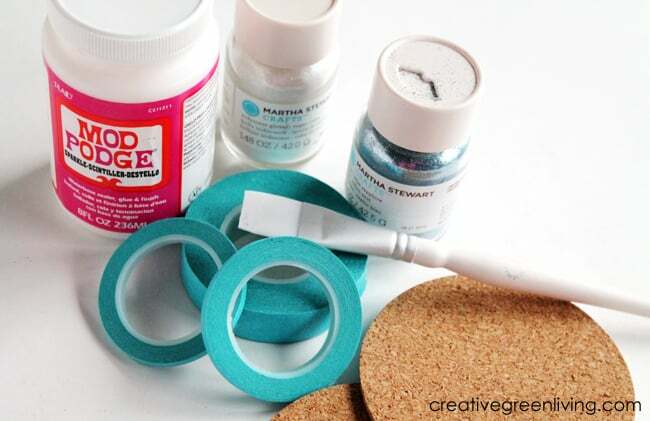 You'll want to do this right away so the Mod Podge doesn't bond to the tape and then peel up chunks of your project later once it is dry. Set your coasters aside to dry. 5. 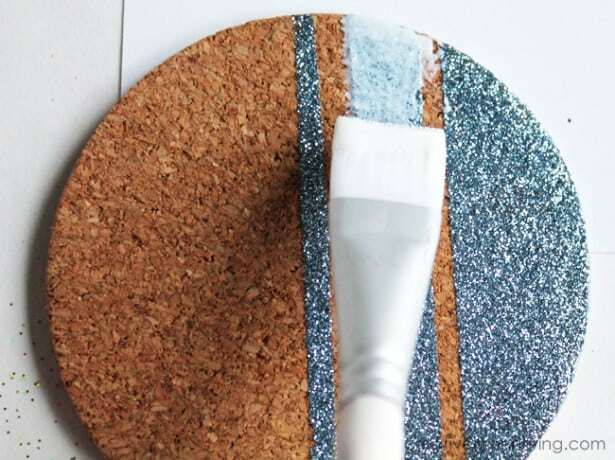 Prevent them from shedding all over your house by brushing a layer of Mod Podge over the glitter to seal it. 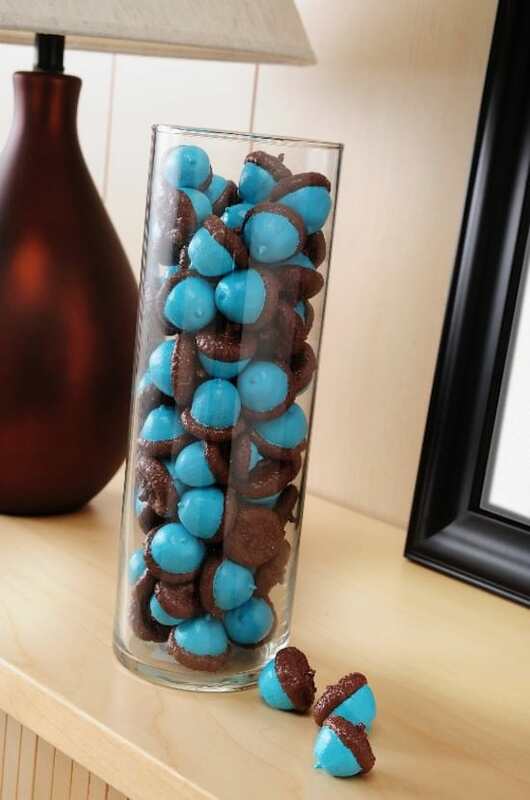 I used the Sparkle formula for this but you could use the Dishwasher Safe formula if you just want a plain look. The Dishwasher Safe formula is more water and temperature resistant than standard Mod Podge formulas, which is why I like it for coasters. If you used the Sparkle formula like I did, do back over it with a coat of Dishwasher Safe formula after the Sparkle coat is dry. Let it dry for at least one full day before using. 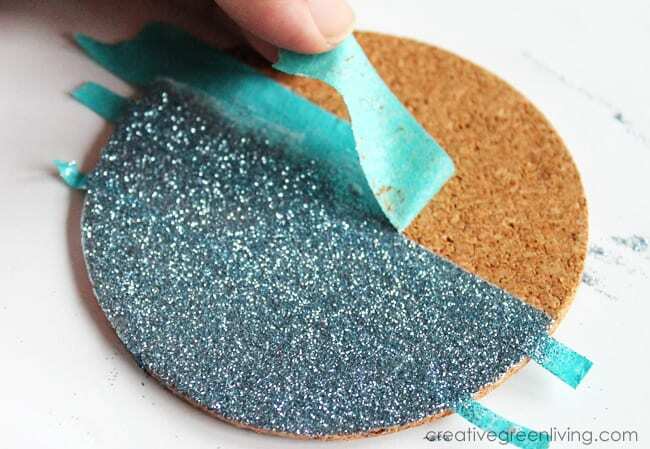 I hope you enjoyed my brief little glitter coasters tutorial! 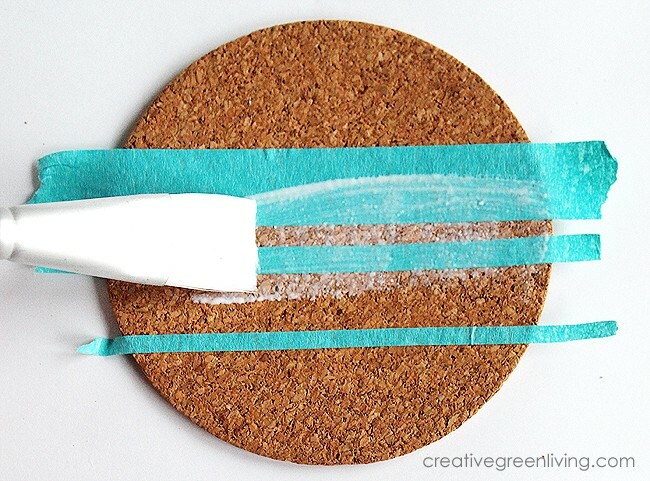 Please come visit me over at Creative Green Living for more easy crafts, recipes, DIY makeovers and easy ways to make greener choices in your everyday life. 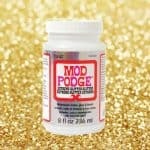 I even have a whole category of Mod Podge and decoupage projects! We also have a Facebook community group for sharing ideas and asking questions. I'd love to see you there! These are amazing! Thanks for the great idea!